Opticians Bob and Linda Jack were associated with one of the nation's leading eyewear providers for many years. They learned what large retail opticals did well... and what they did "not so well". 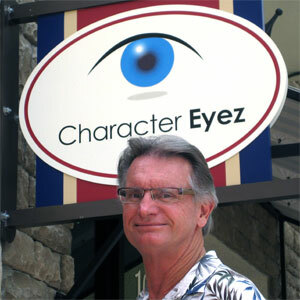 They put it all together and Character Eyez was born. Specializing in Fashion, Performance, and Vintage eyewear, Character Eyez is an eyeglass experience you'll want to tell your friends about. As an independent full-service optical, we work directly with dozens of leading designers as well as the nation's top lens labs. Striking fashions are blended with precision lens technologies that will blow your mind. Superior products, attention to detail, and client satisfaction are our only priorities. 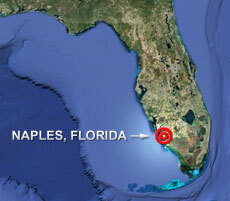 Next time your in Olde Naples, stop on by the beautiful Naples Bay Resort and pay us a visit. Come see what you've been missing.